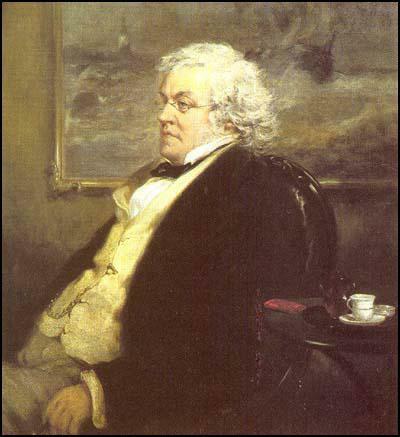 William Makepeace Thackeray, the only child of Richmond Thackeray (1781–1815) and Anne Becher (1792–1864), was born in Calcutta on 18th July, 1811. His father was the secretary to the board of revenue in the East India Company. The family lived in a mansion serviced by a large staff and the first few years were lived in great luxury. He later recalled that he remembered "great saloons and people dancing in them, enormous idols and fireworks, riders on elephants or in gigs, and fogs clearing away and pagodas appearing over the trees." Richmond Thackeray died aged 34 on 13th September 1815 leaving an estate worth £17,000. At the age of five he was sent to England and was looked after by his aunt Charlotte Sarah (Richmond's sister) and her husband, John Ritchie. His mother remained to marry Henry Carmichael-Smyth in 1817 and three years later the couple returned to England. Thackeray was sent to school at Southampton when he was only six years old. He hated the experience and later wrote that the school "of which our deluded parents had heard a favourable report, but which was governed by a horrible little tyrant, who made our young lives so miserable". He also remembered kneeling by his bed at night, and saying, "Pray God, I may dream of my mother!" In 1819 he entered a school at Chiswick where he remained until December 1821, after which he was enrolled at Charterhouse. At the time he was described as a "gentle and rather timid boy." His biographer, Peter L. Shillingsburg, has argued: "Thackeray's academic achievements at Charterhouse were not outstanding, though his natural abilities caused him to rise through the ranks respectably. He was quite near-sighted and, having no spectacles, was unable to take a very active role in games." Thackeray was bullied by the older boys and on one occasion he was forced to fight an older boy. His nose was so badly shattered that he was disfigured for life. Thackeray commented that Charterhouse should have been called "Slaughter House". Thackeray went to Trinity College in 1829. Initially, he had high hopes of academic success, but instead of spent his time enjoying himself rather than studying. He also acquired a dangerous taste for gambling. One evening he lost over £1,500 playing cards. This was not a debt he could pay until he received his inheritance when he came of age in three years time. In 1830 Thackeray decided to leave Cambridge University without taking a degree and went to stay in Germany where he met Johann Wolfgang von Goethe. His decision upset his mother. He wrote her a letter trying to explain why he left university: "You seem to take it so much to heart, that I gave up trying for Academical honours - perhaps Mother I was too young to form opinions but I did form them - and these told me that there was little use in studying what could after a certain point be of no earthly use to me… that three years of industrious waste of time might obtain for me mediocre honours which I did not value at a straw... Is it because I have unfortunately fallen into this state of thinking that you are so dissatisfied with me?" On his return to England in the early summer of 1831, Thackeray took up law studies at the Middle Temple. The author of William Makepeace Thackeray: A Literary Life (2001) has argued: "He read law, clerked, attended dinners, and disparaged his work in letters home and to Edward Fitzgerald who occasionally came up to London to roam the streets and go to plays with him. He remained in this routine for nearly a year, during which his passion for the theatre and for reading fiction and history were developed more assiduously than the law. Losing any real ambition for the law, and without entrée to the circles of society which his expected fortune and his public school education led him to expect, he spent the year of his maturity in a variety of ‘ungentlemanly’ pursuits as bill discounter, desultory journalist, and artist." Thackeray became friends with William Maginn, who took him to a "common brothel where I left him, very much disgusted and sickened". On coming of age on 18th July 1832 Thackeray inherited nearly £20,000. His first task was to pay off his old gambling debts, however, this did not cure his craving for cards and dice. 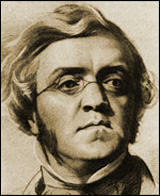 In 1833 Thackeray purchased The National Standard for which he edited and wrote most of the articles. Most of his inheritance was lost after a bank failure and he was forced to close his journal. He then returned to Paris where he studied painting. He later recalled: "I was as poor as Job: and sketched away most abominably, but pretty contented: and we used to meet in each others little rooms and talk about art and smoke pipes and drink brandy and water." Peter L. Shillingsburg has pointed out: "Embarking on what was supposed to be a three-year apprenticeship in the ateliers of a French artist, and thanking God for making him poor, Thackeray appears to have applied himself happily and seriously to his studies only to discover, within a year, that his talent for comic drawings would never develop into satisfactory art.... By the summer of 1835, virtually penniless, disgusted with his talent, with the vulgarity of his artist friends, with the moral degradation of his gambling cronies, one of whom committed suicide, and with his own repeated failures to reform or succeed, Thackeray's bohemian sojourn reached a nadir of depression." While studying art Thackeray fell in love with Isabella Gethin Shawe (1816–1893), the daughter of Colonel Matthew Shawe. Her father was dead but his widow refused to give her permission to marry. His circumstances were changed when his stepfather, Henry Carmichael-Smyth, became a financial backer to a new journal of radical politics, the Constitutional and Public Ledger . Carmichael-Smyth arranged for Thackeray to be employed as the Paris correspondent, with an income of 8 guineas a week. This gave him an income that enabled him to marry Isabella on 20th August, 1836. When the journal ceased publication, Thackeray moved back to London and began contributing articles to a wide variety of newspapers and journals. During this period he became a close friend of Charles Dickens. At the time Dickens was working on The Pickwick Papers. When his illustrator, Robert Seymour, committed suicide, Thackeray offered to take on the task, but he was turned down, and the commission went to Hablot Knight Browne. Over the next three years he published ninety magazine pieces and his first book, The Paris Sketch Book. He now had the responsibilities of being a father. His first daughter, Anne Isabella, was born in 1837. Thackeray wrote that I have "been nearly two years married and not a single unhappy day." Unfortunately the situation changed with the death of his second child, Jane, in 1838. Isabella gave birth to a third daughter, Harriet Marian in 1840. Isabella, suffered from depression and on a trip to Ireland she threw herself into the sea. She was rescued but she never recovered her mental health. In July 1840, Thackeray, Charles Dickens and Daniel Maclise went to see the execution of Francois Benjamin Courvoisier, who had murdered his employer Lord William Russell. Dickens rented a room from a house that overlooked the scaffold outside Newgate Prison. Forty thousand people turned out for the hanging and over a million and a half broadsides about the murder and execution were sold (for a penny each). Although the servant from Switzerland, had confessed to the crime, Dickens had doubts about his guilt and wrote two letters to the press complaining about the behaviour of the defence lawyer. Dickens was shocked by the behaviour of the crowd at the execution: "There was nothing but ribaldry, debauchery, levity, drunkenness and flaunting vice in fifty other shapes. I should have deemed it impossible that I could have felt any large assemblage of my fellow creatures to be so odious." After this experience Dickens campaigned against capital punishment. However, as he got older he changed his mind and wrote in favour of hanging, but argued that it should take place within the privacy of prison walls and should not provide entertainment for the masses. In the six years from Isabella's suicide attempt, Thackeray published 386 magazine pieces and three books, all under pseudonyms. This included book reviews, comic sketches and art criticism for Fraser's Magazine, Punch Magazine and The Times. Thackeray also published a collection of Comic Tales in 1840 and a novelette, The History of Samuel Titmarsh, in 1841. He wanted to write a full-length novel but it had to be serialized, "since he could not afford the time to write it all before being paid, and he had not yet convinced publishers to provide significant advances". The first episode of Barry Lyndon was published in Fraser's Magazine in January 1844. It has been argued that the story was written in response to the success of the crime novels of Edward Bulwer-Lytton. Thackeray had denounced his novel, Eugene Aram as an immoral book. 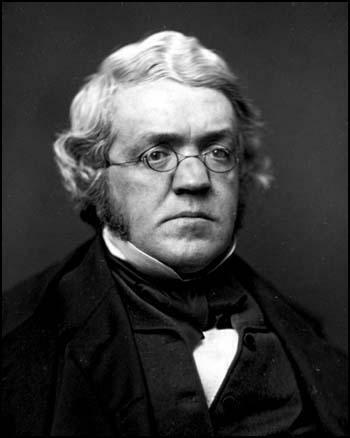 The author of William Makepeace Thackeray: A Literary Life (2001) has argued: "Written in the style of Fielding's Jonathan Wild, it represents a major advance over his early fiction in characterization, narrative technique, plot construction, and complexity of themes, but readers of Fraser's Magazine were apparently unprepared to distinguish easily between a ruffian's bragging autobiographical voice and that of a satirical author exposing both the egoism of the character and the chicanery of the society in which he bilked and was bilked. 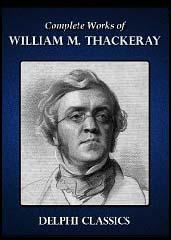 The narrative voice in the novel represents a brilliant ventriloquist act, demonstrating the skills Thackeray had been honing in earlier works through using a variety of well-defined pseudonyms... Thackeray was also trying to upstage the popular Newgate or crime fiction that he thought unrealistically and perhaps dangerously glamourized the lives of the criminal heroes. He particularly disapproved of Bulwer's exploitation of false sentiment on behalf of noble highwaymen. Barry Lyndon was to have exposed the real unlikeable greed, cruelty, lack of conscience, and vulgarity of the criminal mind. Readers' understandable dislike of the narrator, Barry himself, extended inappropriately to the author, and the magazine's editors asked Thackeray to shut the story down after ten instalments. Barry Lyndon remains, however, a critically acclaimed and highly regarded first novel. It is the story of an Irish lad who grows up with a colossal ego and quick temper, who fights duels, cheats at cards, suffers repeated well-deserved set-backs in the English and then the Prussian army, and rises to wealth through a fortune-hunter's marriage, after which his cruelties to his wife and his stepson are not redeemed by his maudlin sorrow for the death of his own son. Ending in prison, he pens his memories, appealing without self-consciousness for sympathy and admiration." Thackeray continued to contribute heavily to Fraser's Magazine, The Morning Chronicle and The Foreign Quarterly Review. His main source of income was writing for Punch Magazine. This magazine published his next two major works, which gained him public popularity. The first was a comprehensive and exhaustive analysis of The Snobs of England (March 1846 to February 1847) and Punch's Prize Novelists (April to October 1847). In January 1847 the first episode of Vanity Fair was published. He received £60 for each instalment. Jonathan Keats has argued that it was clearly his best work: "Only in Vanity Fair did the novelist make his form work as he wished it to, and a contributory factor to this sense of overall control and sureness of aim was undoubtedly his undivided commitment to the nature of his subject. Like several other great nineteenth-century English novels, such as Middlemarch and Great Expectations, the book enjoys a carefully worked out historical perspective in a past which could be easily recalled by Thackeray's older readers, and part of its theme is an exploration of the Regency atmosphere which will mingle a wistful nostalgia with a shudder of retrospective cynicism. Thus, while figures like Sir Pitt Crawley and Lord Steyne are made positively grotesque and satanic, the character of Becky Sharp herself is held up to our ironic admiration precisely through those qualities of guile, resilience and resourcefulness which place her outside the preserve of the traditional Victorian heroine." It is believed that Vanity Fair was turned down by five or more publishers before Bradbury and Evans, the proprietors of Punch Magazine, agreed to publish it in the same format and style that they used for their star author, Charles Dickens. Though the novel's initial print run and sales were under 5,000 copies, he received £2,000 in royalties from the publishers. This was more than he had ever earned before. Importantly, he could now command higher rates than in the past. In 1851 Thackeray undertook a lecture series entitled "The English Humourists of the Eighteenth Century". The readings in the Willis's Rooms in St James Street in London were given on six successive Thursdays. They were so successful that the streets outside were packed with the carriages of aristocrats and writers. It was such a profitable venture that the following year he lectured in America. The audiences often numbering 1,200 a night. One critic has claimed that the public "were as impressed by his appearance - he was six foot, three inches tall, approximately 16 stone, and he had a huge head with a fine mop of silvery hair - as by his lectures." Although a successful novelist, Thackeray continued to write articles for journals such as Punch Magazine. One of his biographers, Jonathan Keats, has argued: "Thackeray never quite reconciled himself to the business of earning money by the pen, and the portraits of journalists and literary men in his novels are distinctly ambivalent in presentation. The dominant irony of all this is that he should have emerged as undoubtedly the most brilliant of English nineteenth-century journalists, equalling Dickens in passion and fecundity and wholly surpassing him in his mastery of the short forms dictated by the magazines and newspapers for which he wrote. Shrewd, witty, economical in resource, unsparing in attack... his articles are spiced with a species of racy bitterness particular to their author and strongly reminiscent of the eighteenth-century satirists whom he so admired." Although he was a close friend of Charles Dickens, Thackeray considered his novels to be sentimental. 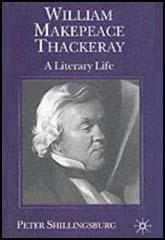 John Carey, the author of Thackeray: Prodigal Genius (1977) has pointed out: "The most prolific breeding ground for such sham sentiment was, he believed, the social-conscience novel, as developed by Dickens. For one thing, he despised the bogus philanthropy that induced comfortably off readers, who had every intention of remaining comfortably-off, to grow lachrymose over fictional accounts of workers' woes. For another, he felt that you could not have a political question fairly debated in a novel, since the author was at liberty to invent characters and motives, in order to revile or revere them. The whole structure was rigged. Moreover, none of the sentimental novelists, it seemed to him, had devised any feasible scheme for bettering the poor, or shown the political and economic acumen that might lead one to expect such a scheme was forthcoming. The happy endings, tacked onto their stories of suffering, were enough to expose the shallowness of their social concerns." G. K. Chesterton has suggested in The Victorian Age in Literature (1913) that: "Thackeray is everybody's past - is everybody's youth. Forgotten friends flit about the passages of dreamy colleges and unremembered clubs; we hear fragments of unfinished conversations, we see faces without names for an instant, fixed forever in some trivial grimace: we smell the strong smell of social cliques now quite incongruous to us; and there stir in all the little rooms at once the hundred ghosts of oneself." In August 1848, Thackeray published the first instalment of The History of Pendennis. The story chronicles the youth, education, and the writing career of Arthur Pendennis, the son of a country squire. Some critics have claimed that Pendennis's biography is very similar to that of Thackeray. Peter L. Shillingsburg has argued that " Thackeray is already shifting his satirical and critical mode and gaze from the obvious vanities and hypocrisies of society to the subconscious, more habitual injustices and cruelties of conventional behaviour, particularly as played out in domestic circles between husbands and wives, parents and children, and among siblings." His friend, Charles Dickens, published David Copperfield at the same time and the two novels, both markedly autobiographical, are often compared with each other. Thackeray was now approached by the publisher, George Murray Smith. He offered Thackeray £1,000 for his next book. In 1852 Smith signed the novelist to a contract for a novel in three volumes, stipulating that he could publish nothing else in the six months before or after publication. The History of Henry Esmond. Set during the reign of Queen Anne, the novel focuses attention on the English revolution and on the conflicts over succession caused by William III and Anne having no surviving children. The narrator and main character, Henry Esmond, writes his memoirs at the end of his life. The author of William Makepeace Thackeray: A Literary Life (2001) has pointed out: "Orphaned, one might say, three times, Henry grows up vulnerable and sensitive to slights and grateful for attention. He adores his first spiritual leader, the Jesuit Father Holt; but his allegiances turn protestant under the priest's successor, Rachel Castlewood, who for at least the first quarter of the novel plays the role of mother in his life. A man of loyalties, Henry waxes political in college, goes to war, and serves the Jacobite cause, not so much because of personal convictions, readers are led to believe, but in order to impress Rachel's daughter Beatrix. The novel is both controversial and psychologically subtle and complex because it is clear that Rachel Castlewood, though married to Lord Castlewood and playing the mother role, is in love with Henry... Perhaps the most intriguing thing about Henry's life is his successive discoveries that what he thought was true, wonderful, and good proves to be false, disappointing, and even evil. Truth, he seems to conclude, is very elusive and naught but grief comes from accepting the truths of others." Thackeray became part of a group of friends that used to drink and go to the theatre together. This included Charles Dickens, Douglas Jerrold, Thomas Talfourd, Charles Knight, Daniel Maclise, John Forster, Mark Lemon and William Macready. He also enjoyed a good relationship with the artists, John Leech, Daniel Maclise, George Cruikshank, Richard Doyle and Frederick Walker. Thackeray, like most of his friends, was also a member of the Garrick Club. Thackeray's relationship with Dickens has been studied in some depth by literary critics. Peter Ackroyd has argued in Dickens (1990): "Although they were for many years on perfectly friendly terms, no two writers could in fact have been more different. Thackeray was the scion of Charterhouse and Cambridge, Dickens of Chatham dockyard and Warren's blacking factory. Thackeray was a gentleman who never quite shook off his amateur status - indeed at times seemed to revel it - while Dickens was the entire professional whose own class status was insecure enough to make him grandiloquent in his support for the dignity of literature". Eliza Lynn Linton was close to both Thackeray and Dickens and has argued: "Both these men illustrated the truth which so few see, or acknowledge when even they do see it, of that divorcement of intellect and character which leads to what men are pleased to call inconsistencies. Thackeray, who saw the faults and frailties of human nature so clearly, was the gentlest-hearted, most generous, most loving of men. Dickens, whose whole mind went to almost morbid tenderness and sympathy, was infinitely less plastic, less self-giving, less personally sympathetic. Energetic to restlessness... he was a keen man of business and a hard bargainer, and his will was as resolute as his pride was indomitable." In public Thackeray praised the work of Dickens. However, in one article on 7th June, 1853, he commented "I may quarrel with Mr. Dickens's art a thousand and a thousand times, I delight and wonder at his genius". Thackeray's biographer, Peter L. Shillingsburg, has argued: "Privately he objected to Dickens's overblown writing style, and he remarked once that Dickens was cool to him because he had ‘found him out’ as a poseur." Dickens also published an article after Thackeray's death where he questioned the novelist's style of writing: "We had our differences of opinion. I thought that he too much feigned a want of earnestness, and that he made a pretence of under-valuing his art, which was not good for the art that he held in trust". Under their previous contract Bradbury and Evans published The Newcomes, another twenty-three-month serial that began in July 1854. The central character is Clive Newcome, who loves his cousin Ethel Newcome. However, his father, Thomas, an East Indian merchant encourages Clive to marry Rosie McKenzie. It is Thomas who loves Rosie and appears to want to live out his own youthful failure to marry the girl he loved through the marriage he arranges for his son. Rosie eventually dies and Clive is free to marry Ethel, who has refused all previous offers of marriage. It has been argued the novel is primarily about what has been called the "marriage market". In 1857 rumours began to circulate at the Garrick Club that Charles Dickens was having an affair with Georgina Hogarth. As Dickens, biographer, Peter Ackroyd, points out: "There were rumours... that he was having an affair with his own sister-in-law, Georgina Hogarth. That she had given birth to his children. More astonishing still, it seems likely that these rumours about Georgina were in fact started or at least not repudiated by the Hogarths themselves." George Hogarth wrote a letter to his solicitor in which he assured him: "The report that I or my wife or daughter have at any time stated or insinuated that any impropriety of conduct had taken place between my daughter Georgina and her brother-in-law Charles Dickens is totally and entirely unfounded." Dickens was furious when he heard that Thackeray had told friends that he was not having an affair with Georgina but "with an actress". The following year Catherine Dickens accidentally received a bracelet meant for Ellen Ternan. Her daughter, Kate Dickens, says her mother was distraught by the incident. Charles Dickens responded by a meeting with his solicitors. By the end of the month he negotiated a settlement where Catherine should have £400 a year and a carriage and the children would live with Dickens. Later, the children insisted they had been forced to live with their father. Dickens now decided to issue a statement to the press about the rumours involving him and two unnamed women: "By some means, arising out of wickedness, or out of folly, or out of inconceivable wild chance, or out of all three, this trouble has been the occasion of misrepresentations, mostly grossly false, most monstrous, and most cruel - involving, not only me, but innocent persons dear to my heart... I most solemnly declare, then - and this I do both in my own name and in my wife's name - that all the lately whispered rumours touching the trouble, at which I have glanced, are abominably false. And whosoever repeats one of them after this denial, will lie as wilfully and as foully as it is possible for any false witness to lie, before heaven and earth." He added: "Some domestic trouble of mine, of long-standing, on which I will make no further remark than that it claims to be respected, as being of a sacredly private nature, has lately been brought to an arrangement, which involves no anger or ill-will of any kind, and the whole origin, progress, and surrounding circumstances of which have been, throughout, within the knowledge of my children. It is amicably composed, and its details have now to be forgotten by those concerned in it." The statement was published in The Times and Household Words. However, Punch Magazine, edited by his great friend, Mark Lemon, refused, bringing an end to their long friendship. Thackeray also took the side of Catherine and he was also banned from the house. Dickens was so upset that he insisted that his daughters, Mamie Dickens and Kate Dickens, brought an end to their friendship with the children of Lemon and Thackeray. Thackeray's next novel, The Virginians (1857–9) is a sequel to The History of Henry Esmond, and recounts the adventures of Henry Esmond's grandsons in the period of the American War of Independence. The book was not a financial success and Thackeray decided to concentrate on journalism. He now joined forces with George Murray Smith, who had published The History of Henry Esmond, to become editor of his magazine, Cornhill Magazine. Edmund Yates supported Charles Dickens in this dispute with Thackeray and on 12th June 1858 Yates published an article on the novelist in a weekly called Town Talk . Thackeray complained to the committee of the Garrick Club that Yates, a fellow member, must have spied on him there. Charles Dickens, interceded on Yates's behalf, but he was expelled from the club, of which he had been a member since he was seventeen. Dickens resigned from the club in protest. Thackeray wrote to a friend: "I'm not even angry with Dickens now for being the mover in the whole affair. He can't help hating me; and he can't help not being a - you know what (gentleman)... His quarrel with his wife has driven him almost frantic." Dickens had also been hurt by this dispute. He wrote to Yates: "If you could know how much I have felt within this last month, and what a sense of wrong has been upon me, and what a strain and struggle I have lived under, you would see that my heart is so jagged and rent and out of shape, that it does not this day leave me hand enough to shape these words." Smith's contract with Thackeray to edit the magazine was tied to others under which he had to contribute fiction. However, Lovel the Widower (1860), The Adventures of Philip (1861–2), and Denis Duval (1864) were not highly regarded by the critics. Jonathan Keats has argued that Thackeray had lost the "satirical energy initially bequeathed to him through the valuable experience of journalism." In November 1863, Thackeray and Charles Dickens spoke together for the first time. According to Dickens he saw Thackeray hanging up his hat in the Athenaeum Club and said to him: "Thackeray, have you been ill." Another witness, Sir Theodore Martin gives a different account of the meeting. He was with Thackeray when Dickens passed close by "without making any sign of recognition". Martin claims that Thackeray broke off his conversation with him to call out to Dickens. "Dickens turned to him, and I saw Thackeray speak and presently hold out his hand to Dickens. They shook hands, a few words were exchanged, and immediately Thackeray returned to me saying I'm glad I have done this." On 23rd December 1863, after returning from dining out and before dressing for bed, William Makepeace Thackeray suffered a stroke and was found dead on his bed in the morning. His death at the age of fifty-two was entirely unexpected. An estimated 7,000 people attended his funeral. He was buried on 29th December at Kensal Green Cemetery. Dickens wrote in The Cornhill Magazine: "That it would be sad to anyone, that it is inexpressibly so to a writer - in its evidences of matured designs never to be accomplished, of intentions begun to be executed and destined never to be completed, of careful preparation for long roads of thought that he was never to traverse, and for shining goals that he was never to reach, will be readily believed." Thackeray is everybody's past - is everybody's youth. Forgotten friends flit about the passages of dreamy colleges and unremembered clubs; we hear fragments of unfinished conversations, we see faces without names for an instant, fixed forever in some trivial grimace: we smell the strong smell of social cliques now quite incongruous to us; and there stir in all the little rooms at once the hundred ghosts of oneself. Thackeray never quite reconciled himself to the business of earning money by the pen, and the portraits of journalists and literary men in his novels are distinctly ambivalent in presentation. The dominant irony of all this is that he should have emerged as undoubtedly the most brilliant of English nineteenth-century journalists, equalling Dickens in passion and fecundity and wholly surpassing him in his mastery of the short forms dictated by the magazines and newspapers for which he wrote. Shrewd, witty, economical in resource, unsparing in attack... his articles are spiced with a species of racy bitterness particular to their author and strongly reminiscent of the eighteenth-century satirists whom he so admired. The hidden and awful Wisdom which apportions the destinies of mankind is pleased so to humiliate and cast down the tender, good, and wise; and to set up the selfish, the foolish, or the wicked. Oh, be humble, my brother, in your prosperity! Be gentle with those who are less lucky, if not more deserving. Think, what right have you to be scornful, whose virtue is a deficiency of temptation, whose success may be a chance, whose rank may be an ancestor's accident, whose prosperity is very likely a satire. Thackeray's scepticism about the fake emotions romanticism induces links him with Flaubert... The most prolific breeding ground for such sham sentiment was, he believed, the social-conscience novel, as developed by Dickens. For one thing, he despised the bogus philanthropy that induced comfortably off readers, who had every intention of remaining comfortably-off, to grow lachrymose over fictional accounts of workers' woes. For another, he felt that you could not have a political question fairly debated in a novel, since the author was at liberty to invent characters and motives, in order to revile or revere them. The whole structure was rigged. Moreover, none of the sentimental novelists, it seemed to him, had devised any feasible scheme for bettering the poor, or shown the political and economic acumen that might lead one to expect such a scheme was forthcoming. The happy endings, tacked onto their stories of suffering, were enough to expose the shallowness of their social concerns.